Over 150 ladies packed into Lilley Brook Golf Club to celebrate the activities of GLCGA in 2018. Retiring Captain Andra Knight gave an account of her time with the Team and said she felt both proud and fortunate to have such a great squad to work with over the last 3 years as she handed over to Su Mallon. CJO Janice Saunders had lots of news from the Juniors highlighting their achievements away from home and overseas. GGG had done a fantastic job fund raising and Janice thanked everyone for their help and generosity – there was warm applause from the Meeting for the success of the 5 course challenge which raised £2678. There were interesting reports in respect of Handicapping, the work of England Golf, the County Golf Partnership, the Seniors and the Finances of the Association. President, Sue Rawles, thanked everyone for their excellent reports and presented leaving gifts to Andra Knight and Chairman, Gillian Cowell. Following the Election of Officers for 2019 Sue went on to pay warm tribute to Jenny May listing her achievements over the last 30 years. 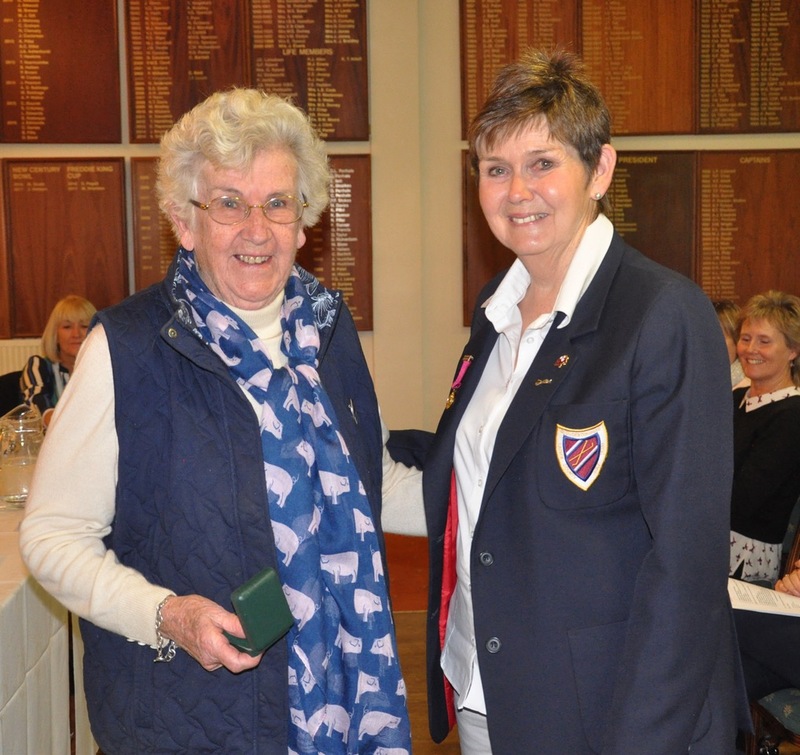 Jenny was awarded Life Membership to mark her remarkable contribution to the County. There followed the Presentation of Trophies won throughout the year and then Val Bland of Alexander Park proudly handed over a cheque for £603 to the Treasurer by way of a donation from a Quiz Night held at the Club. At the close of the Meeting, Past President, Val Sprott proposed a vote of thanks and thanked the Executive Committee for their hard work and congratulated the County on its great spirit.